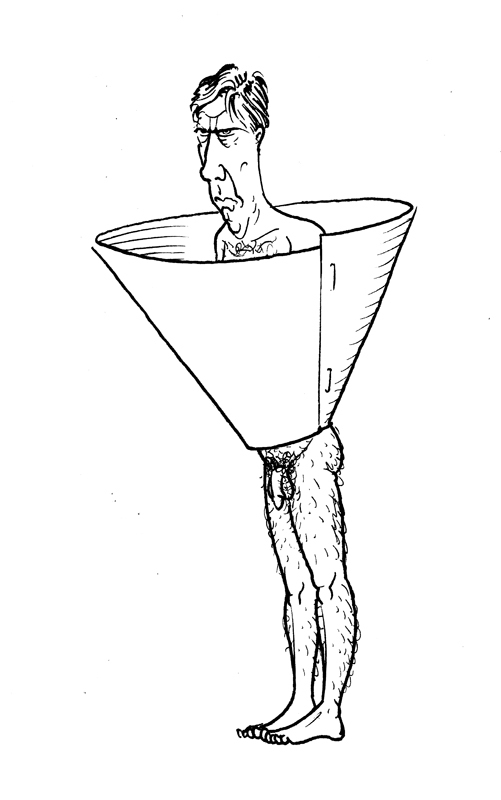 "Unhappy Darth" and "The Cone"
I'm going to try to resume updating this website every Wednesday, both for promotional and mercantile reasons. Oh and of course the fulfillment of expressing myself through the influential and prestigious medium of the internet. We will just see how this goes. Historically, it's been difficult to maintain a regular deadline wthout the fear of someone calling me up and yelling at me if I fail. So keep those donations coming! This week, a diptych of sorts: a pair of cartoons on one theme, which we might call deprivation. 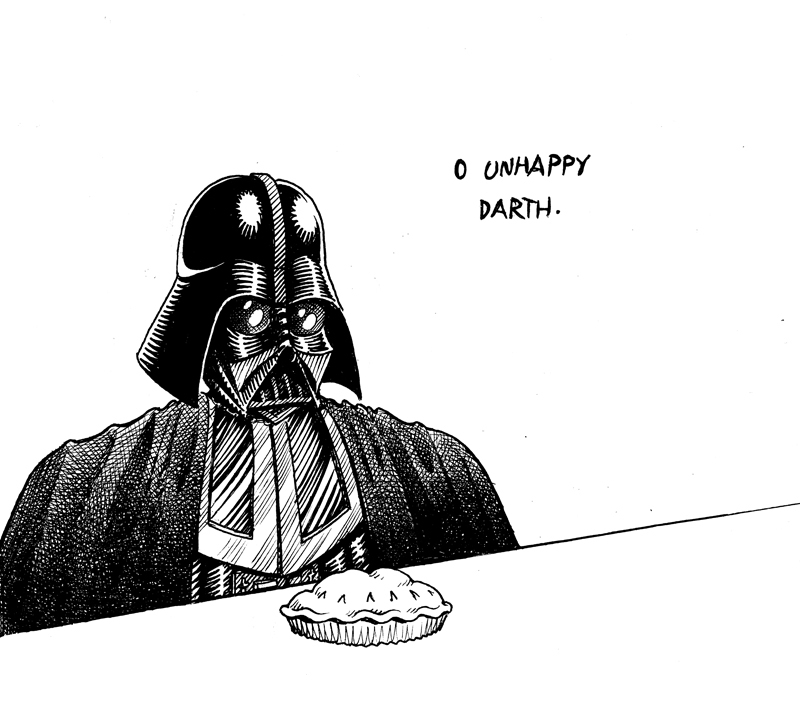 My friend Sadie Lune, seeing "Unhappy Darth," told me that this cartoon epitomized my whole worldview. "This is how you see yourself," she said. "In all situations." About which perhaps we can all agree the less said the better. The second cartoon was inspired by a cat of my acquaintance (not my own), who must currently wear such a cone following an unpleasant eye surgery. It is a demeaning situation, altogether ill-befitting a cat of his dignity and station in life. I doodled this image a year or more ago, and my cat friend's plight reminded me to pull it out and do a more polished rendering. As to this cartoon's meaning, again, I think we can all agree the less said the better. Today, incidentally, I turn in the corrected proofs of my collecton of essays, We Learn Nothing (see below). And tonight [Darth Vader voice], at long last, I shall have my pie. 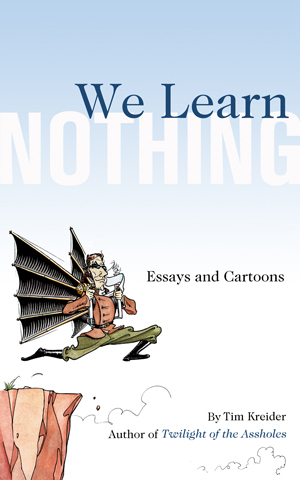 I have finished my book of essays, We Learn Nothing, for Free Press at Simon & Schuster. It is scheduled for publication in June 2012. 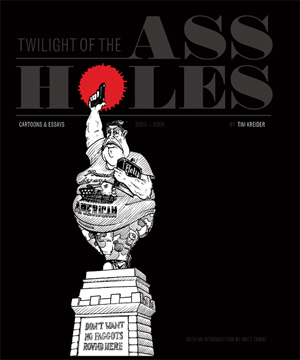 My latest collection of cartoons, Twilight of the Assholes, remains available for order at Fantagraphics Books. It includes all my best political cartoons and essays from Term II of the Bush administration. It is a mere $28.99, money you know very well you'll otherwise just spend on booze.